Bluffer's presents this unique opportunity to partner with the 5-million-copy bestselling series to create a branded edition of one of the Bluffer's Guides, in print and/or as an eBook. This would include a bespoke branded cover, as well as bespoke editorial content within the guide itself. 25 titles are currently available, from cycling and cricket, skiing and rock-climbing, to wine and dogs. This partnership will be promoted via their social media channels, website and weekly newsletter, which is sent out to over 60,000 subscribers. This is a special and personal way to connect with consumers, increase brand exposure and create loyalty. They can also be distributed at events you're sponsoring or be used as an incentive for people to make a purchase. In the past, brands such as Guinness have worked with Bluffer’s to produce special editions in the form of a Guinness-branded Bluffer's Guide to Rugby to help celebrate their sponsorship of the World Cup. 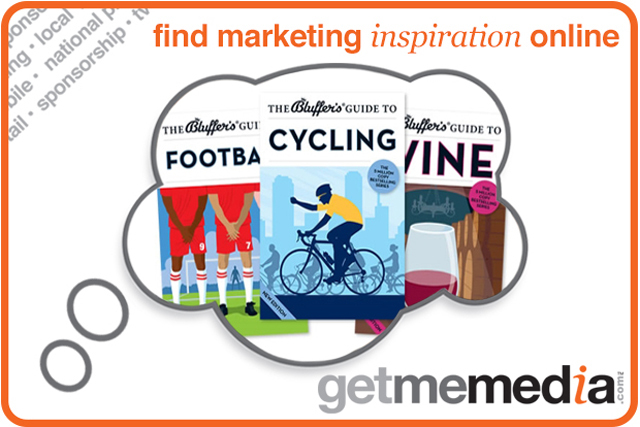 Make your brand stand out with a special edition of one of Bluffer’s guides. The perfect keepsake, acting as a constant reminder of your brand and benefitting from further exposure from friends and family.